The D-Link DGS-1210-10P is one in a series of the latest generation of Web Smart Switches. 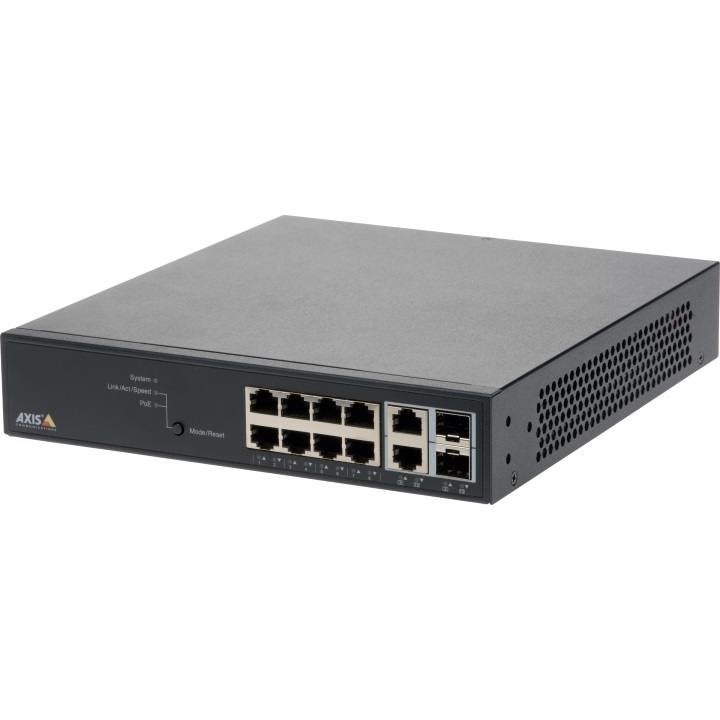 This model is equipped with 8 PoE+ ports capable of a total power budget of 78W across all the ports), this makes it the perfect solution for a small business or home solution. This model also features power saving technologies such as LED & port shutdown, system hibernation, link status detection and time-based PoE which allows you to control when the switch uses PoE, all of these features in the long term will help you save on running costs. Other features include DHCP server screening, IGMP Snooping, Port Mirroring and a fanless design for silent operation.